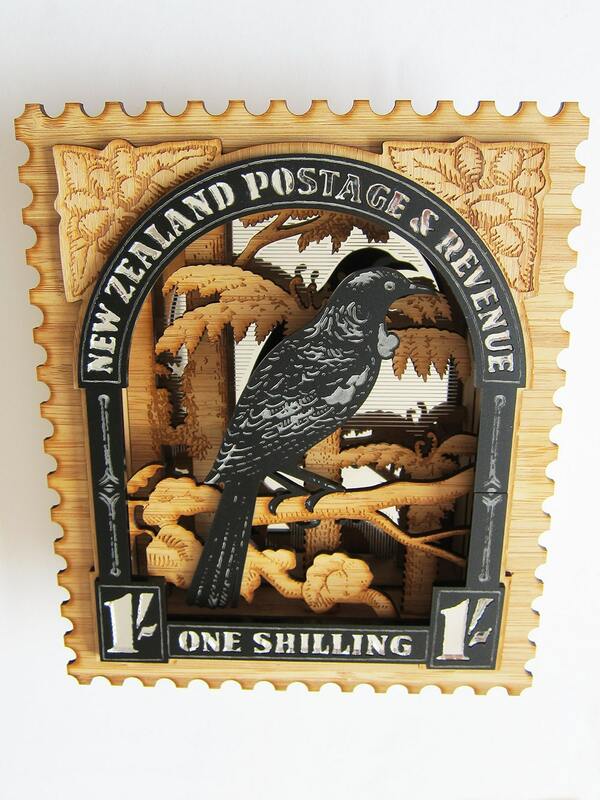 This 3D wall decor is designed based on a vintage New Zealand post stamp from 1935, depicting a Tui bird within a forest of trees and ferns. The piece consists of 7 different layers made of bamboo wood, mirror, and acrylic material. 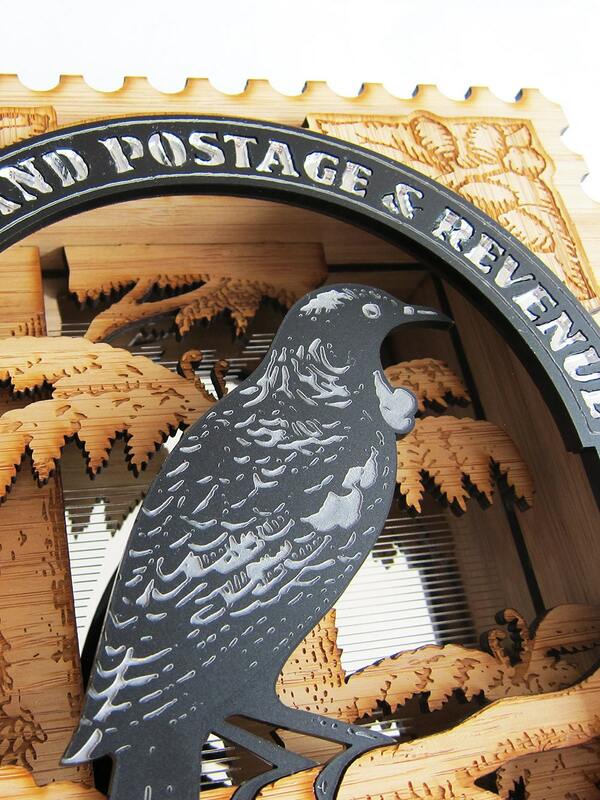 Each layer has been laser cut and engraved with the texture of the original stamp design and has been artfully assembled by hand to create this stunning 3D display. 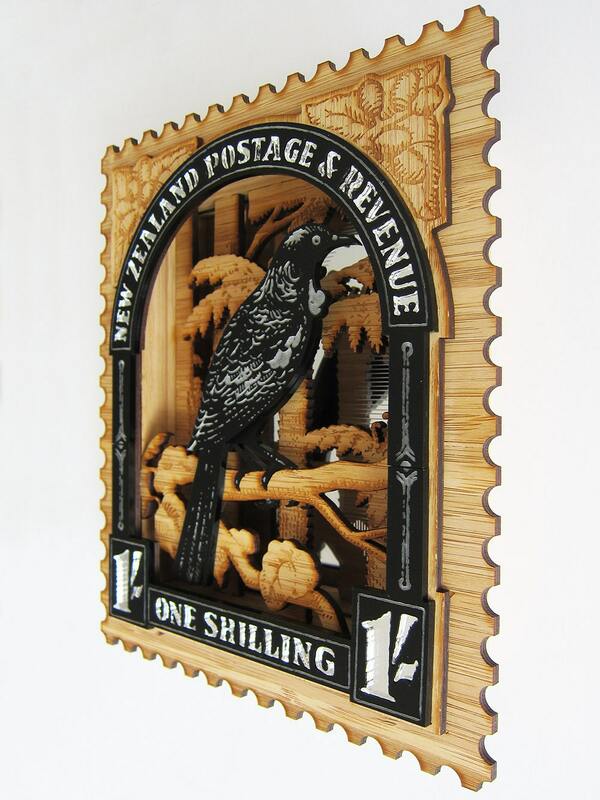 The Tui depicted is native to New Zealand and is a very intelligent bird much like a parrot. 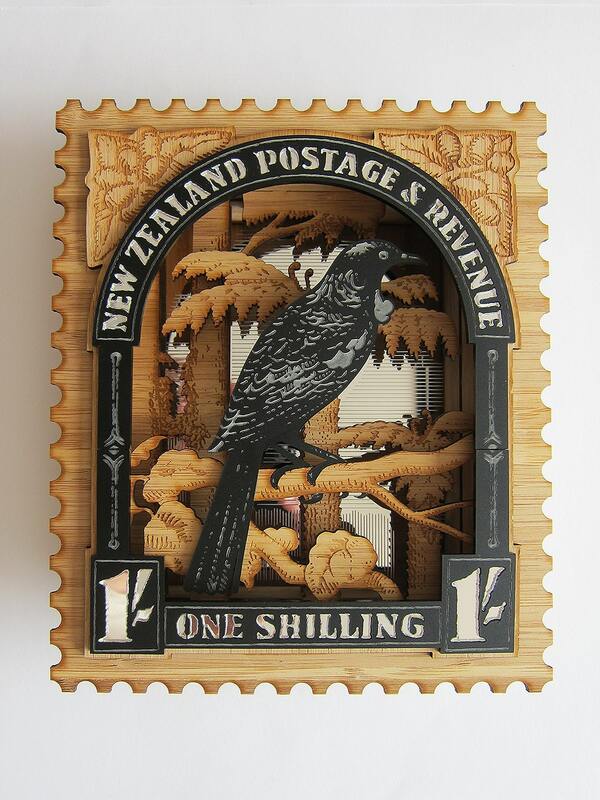 Tuis are able to clearly imitate human speech. 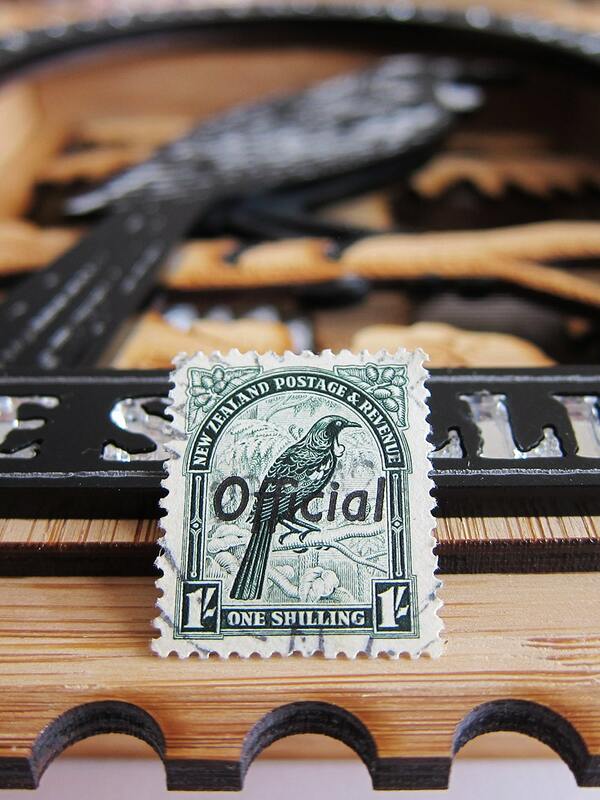 One of the images shows the original post stamp in comparison to the piece. We make each piece to order, so please allow around 1-2 weeks processing time from the date of purchase before your order is released for shipping. Delivery times can vary, though, and we recommend contacting us before ordering.